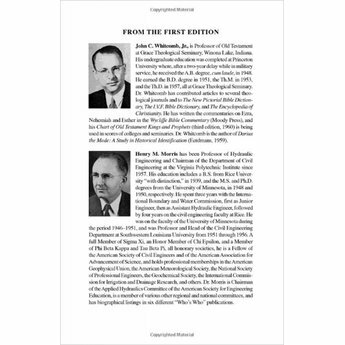 Over 50 years ago, Dr. Morris and Dr. Whitcomb joined together to write a controversial book that sparked dialogue and debate on science and the Bible - culminating in what would be called the birth of the modern creation science movement. 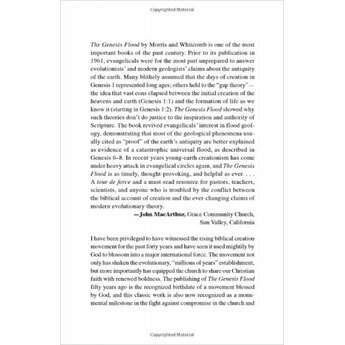 Over 50 years ago, Henry Morris and John Whitcomb joined together to write a controversial book that sparked dialogue and debate on Darwin and Jesus, science and the Bible, evolution and creation-culminating in what would later be called the birth of the modern creation science movement. 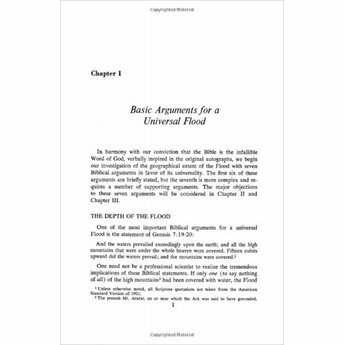 This seminal work defined the science and Bible debate in the 20th century. 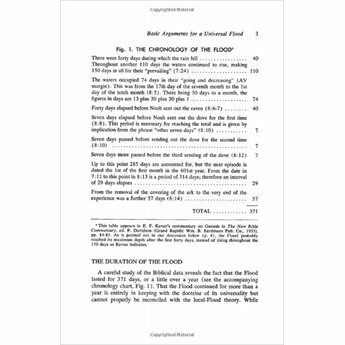 If Genesis is true, then the Flood and its after-effects must explain most stratigraphic and fossil evidence. Drs. 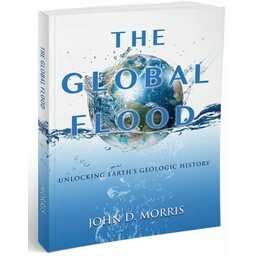 Morris and Whitcomb brought their scientific and theological expertise to bear on the question of the biblical account of a worldwide flood and how it aligns with earth's history written in the stones. 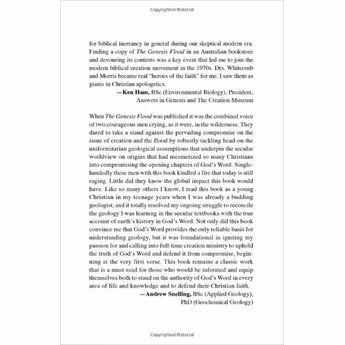 Continuously in print for 50 years, The Genesis Flood offers a definitive treatment of the biblical and scientific evidence of the global Flood in the days of Noah, presenting a solid case for the Bible's authority and accuracy in all areas. 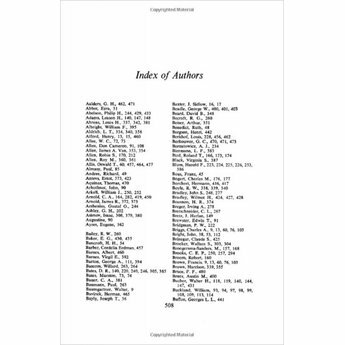 With a new preface by Dr. Whitcomb, and a memorial foreword by Drs. 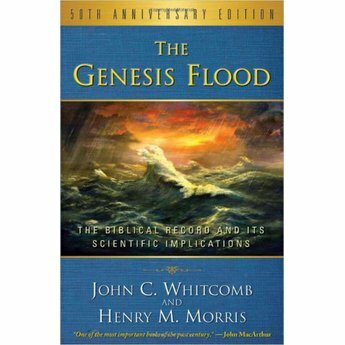 Henry Morris III and John Morris, the 50th anniversary edition of The Genesis Flood is a must-have for every Christian's library. I also read this book in college, between my first and second years, way back in 1969. It encouraged me to take the Bible seriously, especially Genesis, of course. 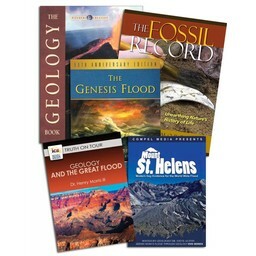 During my Geology and Chemistry studies, I found the concepts in The Genesis Flood invaluable in interpreting the data from a biblical perspective. 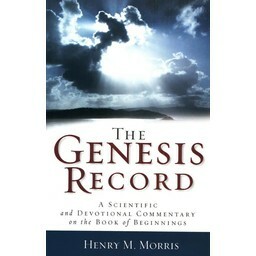 The concepts in this book continue to this day to help me think clearly about origins and salvation. What a blessing! 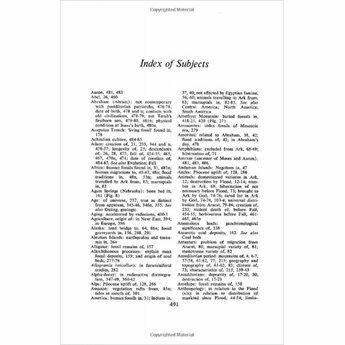 I used this book while in college many years ago and I found it to be well written.